For shopping instructions, go to our Products or Quick Order pages. 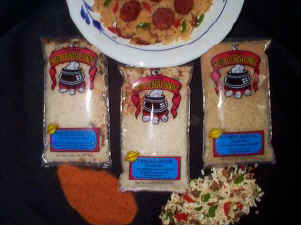 Our rice and Cajun mixes feature Jambalaya and Gumbo Dinners, along with our Seasoned Coating Mix/Fish Fry. These "Fat Free" mixes make a complete meal in only 20 minutes! With Sixteen different spices, herbs, and vegetables, they are great with sausage, poultry, beef, seafood, or wild game. 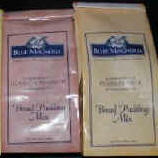 Our line of Blue Magnolia Bread Pudding Mixes - 2 flavors - original and classic cinnamon. They are made with premium ingredients. Perfect for everyday or holiday dessert or as a gift. "Seasoned" Coating Mix/Fish Fry, 8 oz. Bread Pudding Mix, 12 oz. or call (800) 879-5129 or (337) 837-8866. You can also fax us at (337) 837-8864.